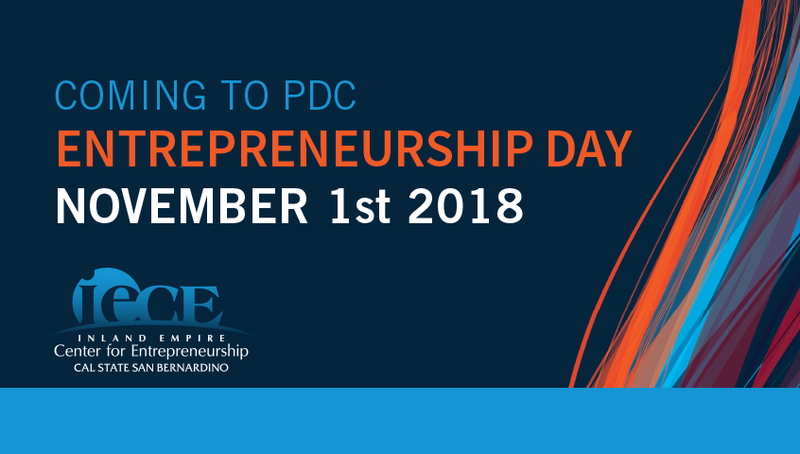 Join Us at Palm Desert Campus on November 1st and Learn About Everything Entrepreneurship Has to Offer! CSUSB's globally recognized Entrepreneurship program will officially begin offering programs to Palm Desert Campus in fall 2019! In the meantime, get a taste of what's to come by attending Entrepreneurship Day on November 1st. There are several events taking place throughout the day, which means plenty of opportunities to get more information. The event kicks off at 10 a.m.; see the full schedule below. All students, faculty and staff are invited to come meet the CSUSB Entrepreneurship team and learn more about the academic program and experiential learning opportunities! Attendance is free, just be sure to RSVP first! Register for the Coffee Kick-Off now! Invited Guests Only. Enjoy lunch and a presentation on the CSUSB Entrepreneurship program and the importance of entrepreneurship to the Coachella Valley. Please contact Stacey Allis at 909/ 537-3217 or by email stacey.allis@csusb.edu for further information. Students, faculty, staff, alumni and community members are invited to come and learn more about the CSUSB Entrepreneurship program and enjoy some tasty treats! Be sure to RSVP ahead of time! Register for the IECE Cream Social now!